Family life is beautiful and motherhood is a privilege, but it ain't no picnic!Being a mother isn't easy. Sometimes it's hard to experience a personal connection with God and community when you are caught up in the chaos of just "doing family". 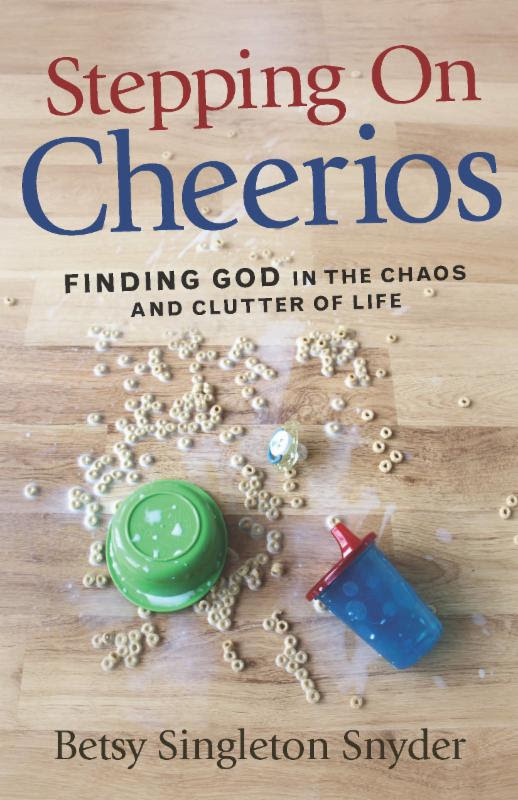 Stepping on Cheerios is a collection of funny, warm, and charming tales from the frontlines of parenthood, written for women who are juggling to accomplish everyday feats of work, motherhood, marriage, church, and more. It's a comical story of one woman's realization that her crazy life is a gift and how she found the grace in it. 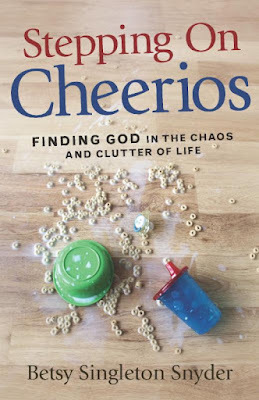 "Stepping on Cheerios" by Betsy Singleton Snyder is Insightful, clever and well written. This book is a great way to look at the real life struggles to keep God in the craziness of our family lives & careers. Anyone who has had children can appreciate this book. I have three daughters and I loved this book so much that I couldn't put it down. 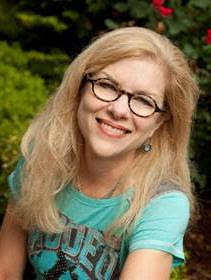 Betsy Singleton Snyder, author of Stepping on Cheerios, is a pastor, a former missionary to the arts community, writer, and blogger. She and her husband, Dr. Vic Snyder who formerly served in the U.S. House of Representatives for 14 years, live in Arkansas with their four sons, Penn (10), and triplets Wyatt, Sullivan, and Aubrey (8). Visit her online at WomenadeStand.com.